If you were wondering what time it was this past weekend, the wrong answer would have been Lindy Focus Boom time. That’s because in the words of Andrew Thigpen, it was actually…. 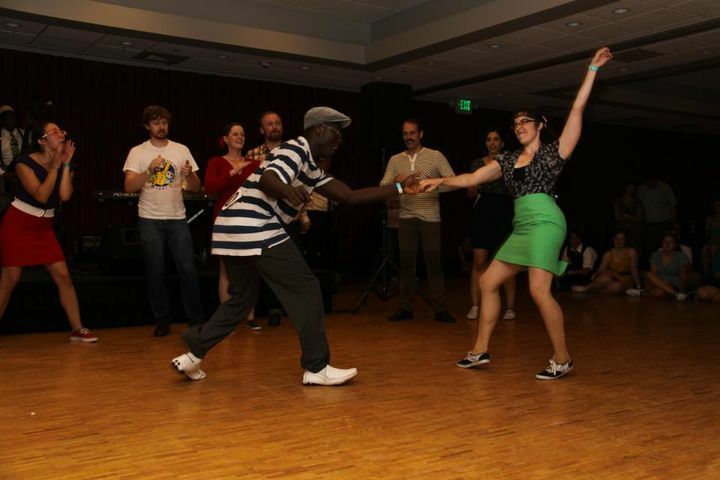 Charm City Swing and Towson University Ballroom Dance Club had a… well to be honest, i’m not sure what it was exactly. Normally I feel comfortable describing a weekend as a workshop weekend, competition weekend, or an exchange. In this case though, I was left at a loss. The event had a lot of competitions, yet they were laid back and were not the dominating activity of the event. The Sunday night Soul party had a fun exchange feel, but with the Baltimore touch of people running around with sparklers in front of the venue and Nina Gilkenson coming out with a fire extinguisher thinking someone started a fire. While there were two tracks of workshops with Kevin St. Laurent, Jo Hoffberg, Nina Gilkenson, & Michael Seguin, it wasn’t the main focus of weekend for all of the attendees. The best description I can muster is it was like an all you can dance buffet of things people like at swing dance events. However unlike many events that try this and end up spreading themselves too thin, I felt they provided the organization to make sure all facets of this event ran well. I ended taking Kevin & Jo’s classes, however what mainly stuck out to me was the musicality class they taught with the Boilermakers & the two aerials classes they featured. For the aerials class, I enjoyed that they put emphasis on safety as the main priority and would rather risk going into a overly detailed description on technique, than having people rush through things and hurt themselves. There were enough breaks with explanations to ensure people were not getting fatigued as well. One thing I liked in particular is I felt the right amount of being challenged versus being pushed outside my comfort zone. The musicality class with the Boilermaker Jazz Band was great because (besides the joking comments about Jonathan Stout) it gave some perspective from the musicians’ side of the dance floor. At the beginning of class they played three versions of Honeysuckle Rose. First one was a 20’s version, second one was a 30’s swing era version, and the last one was a 40’s/50’s version. Afterwards they explained what they did to make each version sound from that particular era and what kind of rhythms those songs lent themselves to. One of the details I appreciated was them going into detail about tags and how those could affect a song. 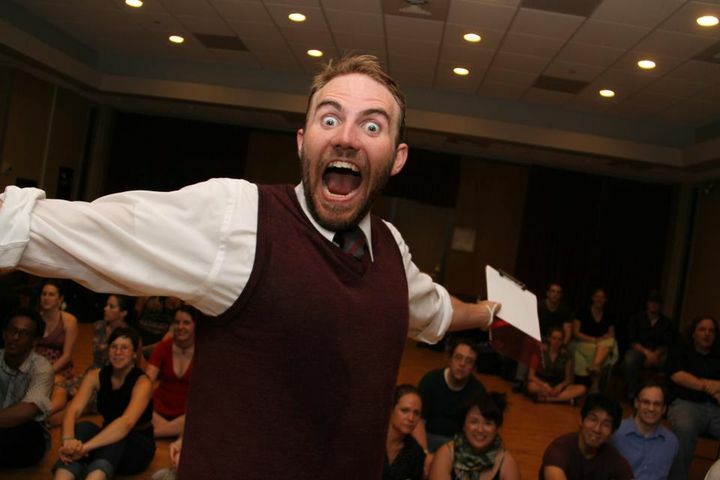 The contests at BLO (Baltimore Lindy Open) consisted of an Invitational Jack & Jill, Open Jack & Jill, Strictly Lindy, and the 30-60 second Cabaret division. When they said anything goes in the Cabaret division, they meant it. A fellow by the name of Ian won in the Cabaret division with a dramatic Bob Dylan reading of a song that involved churning butter. The results I have for the competitions are posted below, if you can fill in the blanks please email me at apache.danse@gmail.com or post in the comment section and i’ll update this. I pity the fools who decided to bail out of the Sunday night dance, to end the event Baltimore had a soul party at the Baltimore Strut. Even a vintage music snob like myself can appreciate a night to just let loose and have fun to some soul music. There were sparklers, drenched people being cheered as they ran through a pouring storm into the dance venue, and MAYHEM the Open Jack & Jill. 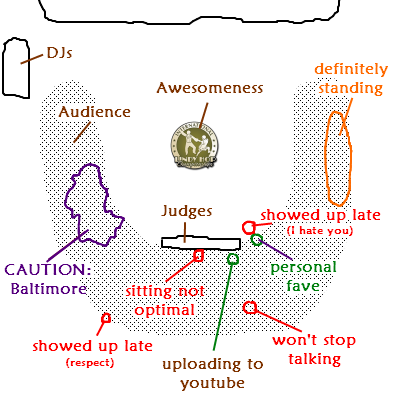 All I can say is Baltimore knows how to throw a party, that’s why they have their own section in the ILHC seating plan. This entry was posted on August 23, 2011 by Apache. It was filed under Dance, Lindy Hop . The 3rd place lead in the J&J with Ranya was Jason Neisz.